iPad apps are, and have always been, a big part of what makes the iPad such a powerful device. Great apps, and unique apps that you just don’t find anywhere else, are one of the hallmark features of the iPad. They have been since Day 1, and scores of great developers and publishers continue to produce apps that are exclusively for the iPad. Our weekly picks for Best iPad App of the Week are published here every Saturday. 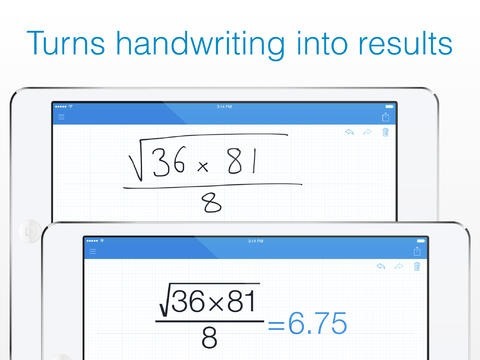 Perform mathematical operations naturally using your handwriting. I’m no math expert. In fact, I’m pretty terrible at it – but even I can appreciate the brilliance of this app. Oh, and my 11 year old daughter is quite the match whiz – and she gives this app a big thumbs up, and actually put it through its paces much better than I did. 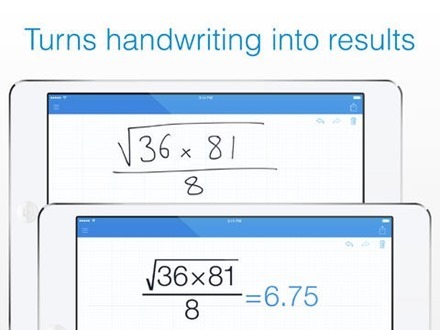 Here’s an App Store link for MyScript Calculator – Handwriting Calculator; it’s a free app and a universal app for both iPad and iPhone. If you’re after more great iPad apps, check out our Best iPad Apps section.